Frances Ya-Chu Cowhig is an internationally produced playwright whose work has been staged at the Royal Shakespeare Company, the National Theatre of Great Britain, the Oregon Shakespeare Festival, Manhattan Theater Club, the Goodman Theatre, Trafalgar Studios 2 on the West End and the József Katona Theater in Budapest. Frances' plays have been awarded the Wasserstein Prize, the Yale Drama Series Award (selected by David Hare), an Edinburgh Fringe First Award, the David A. Callichio Award and the Keene Prize for Literature. She has held year-long playwright residencies at Manhattan Theater Club and Marin Theater Company, and is currently under commission from the National Theatre, American Conservatory Theater and California Shakespeare Theatre. 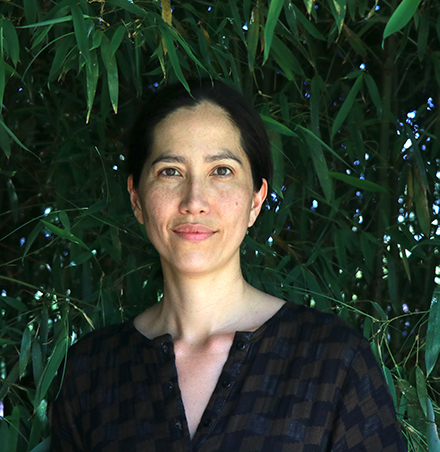 Frances was born in Philadelphia, and raised in Northern Virginia, Okinawa, Taipei and Beijing. She received an MFA in Writing from the James A. Michener Center for Writers at UT Austin, a BA in Sociology from Brown University, and a certificate in Ensemble-Based Physical Theatre from the Dell’Arte International School of Physical Theatre. She is an Associate Professor of Drama at UC Santa Barbara, where she has the pleasure of mentoring undergraduate playwrights.